Hello Spoonful of Flavor readers! I’m Danae from Recipe Runner. Thanks to Ashley for letting me be here again today! I always enjoy coming over to her beautiful blog and sharing something delicious. Today is no exception. 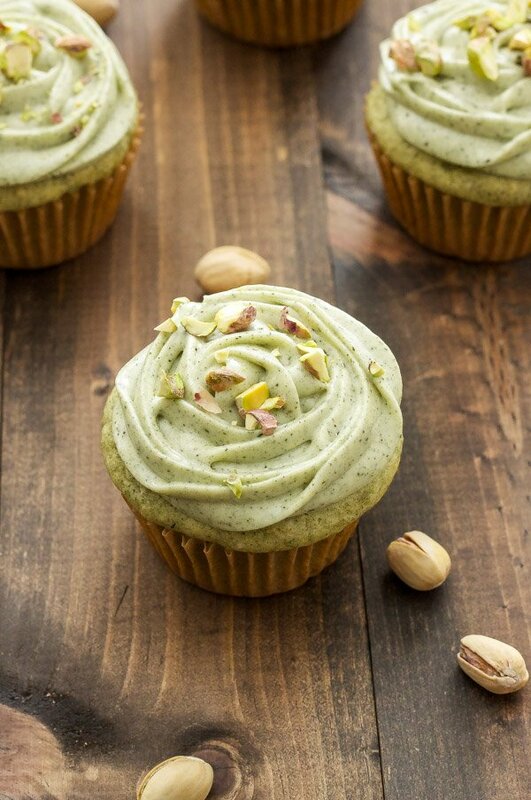 Because it’s almost St. Patrick’s Day I wanted to join in the fun with all things green, so I made these Pistachio Green Tea Cupcakes with Matcha Cream Cheese Frosting! St. Patrick’s Day isn’t all that high on my list of holidays I get excited about. Beer isn’t my drink of choice, I don’t look good wearing green, and I don’t have a drop of Irish blood in me. However, I do enjoy adding Baileys to everything, my once a year splurge on a salty fatty slice of corned beef, and scarfing down a childhood favorite pistachio pudding cupcake that my mom used to make every year on St. Patrick’s Day. 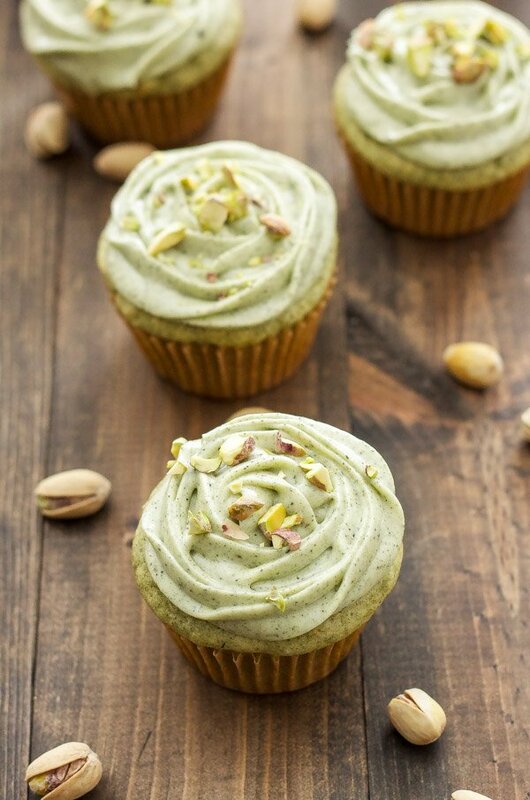 Those cupcakes are where the inspiration for these Pistachio Green Tea Cupcakes with Matcha Cream Cheese Frosting came from. As much as I love that boxed pistachio pudding I am quite aware of all the additives and unpronouncable ingredients in it. I thought about making my own instant dry pudding mix and adding pistachio extract, but I’ve heard not so great things about the flavor of pistachio extract. Then I remembered that I had some loose leaf green tea in my cupboard (I’ve recently become a tea addict on top of a coffee addict). I took the tea leaves and ground them up in my coffee grinder and wah-lah green tea powder! Not only would the green tea powder be a unique cupcake flavor, but it would give them the natural green color that I wanted. Since I wanted the cupcakes to be reminiscent to the ones I grew up eating, I of course had to add some chopped pistachios to the batter. Not only are the pistachio in the cupcake, but I also decorated the top of the matcha cream cheese frosting with them. As we all know, the frosting is the real reason for having a cupcake and this green tea a.k.a. matcha frosting is so good! I used more green tea powder to give it that green hue and flavored it with both almond and vanilla extract. I’m pretty sure more of the frosting ended up in my mouth than on the cupcakes, I think we’ve all been there! 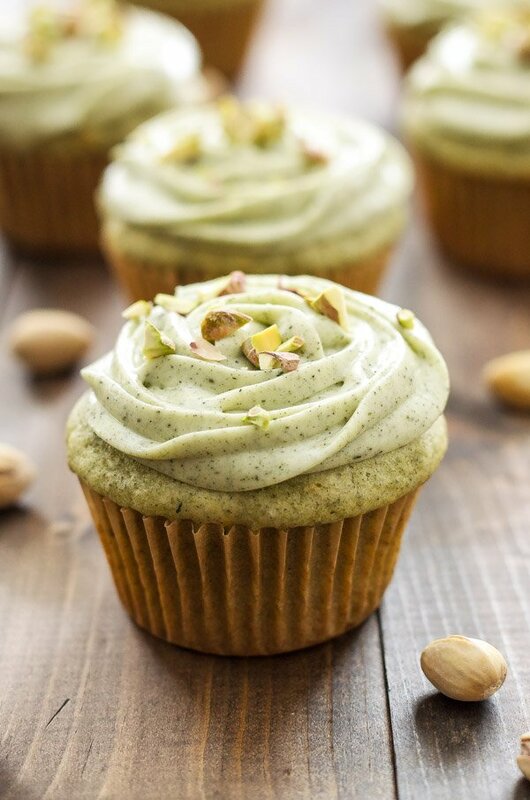 If you’re looking for a fun and delicious St. Patrick’s Day treat to make and one that doesn’t involve boxed pudding or green food coloring, then give these Pistachio Green Tea Cupcakes with Matcha Cream Cheese Frosting a try, they do not disappoint! 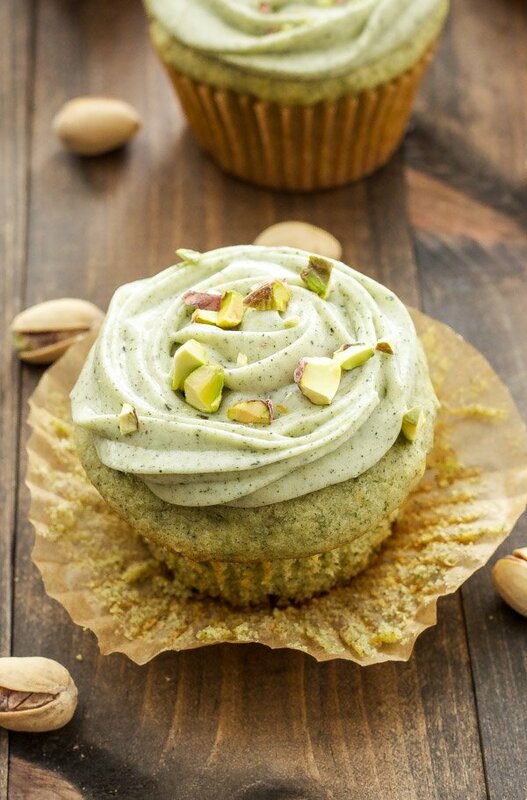 These naturally green cupcakes are infused with green tea powder and full of chopped pistachios. 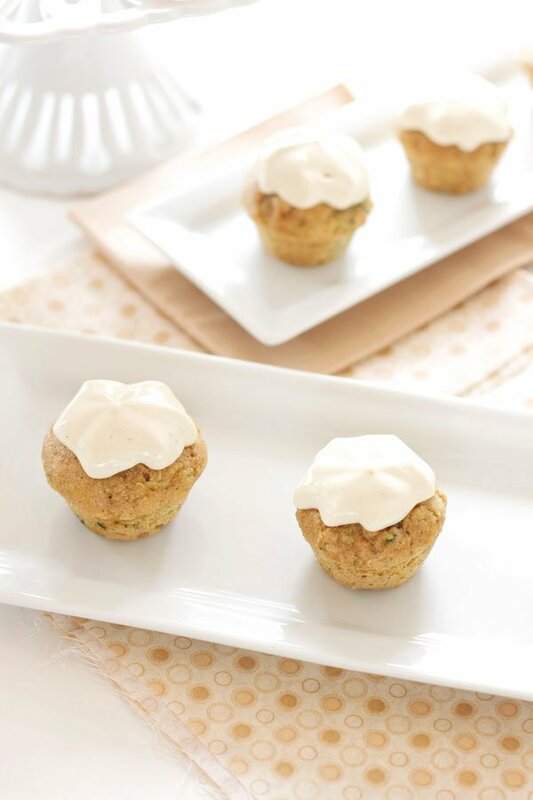 Top them with a delicious matcha cream cheese frosting for an impressive and tasty dessert! Preheat oven to 350 degrees and line a 12 cup standard muffin tin with paper liners. In a large bowl whisk together the flours, cornstarch, green tea powder, baking powder, and salt. Fill the paper cupcake liners 3/4 full with the batter. Bake the cupcakes on the middle rack of the oven for 16-20 minutes or until a toothpick inserted into the center comes out clean. 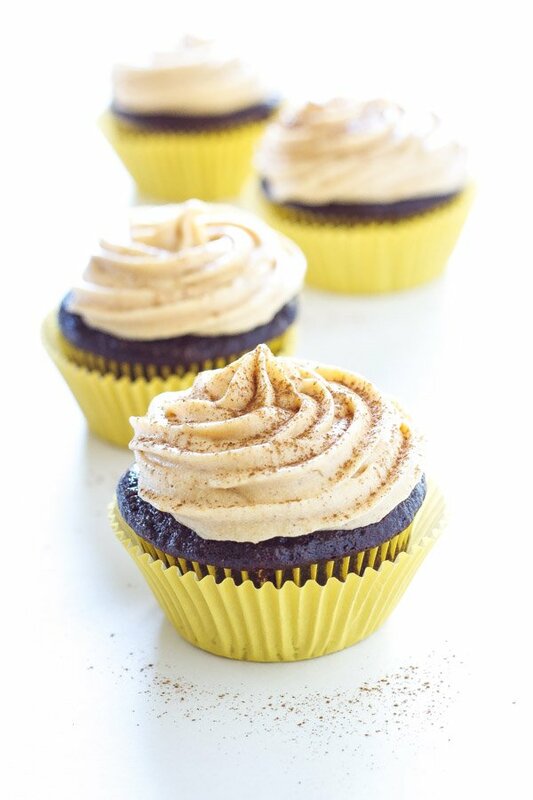 Cupcakes should be stored in an airtight container in the refrigerator. Hi, Tracy! You can use all-purpose flour instead of the pastry flour or use a combo of all-purpose flour and wheat flour (half of each). All-purpose flour is a little more dense than pastry flour but you should be able to make the substitution without any sacrifice to flour or texture. I just made these last week for St. Patrick's day and they were excellent! I had no Greek yogurt so used 1% sour cream instead. I also used 1% milk. The rest of the recipe I followed except I did not read where it says it makes 8-10 muffins so I squeezed out 11 so they were a tad small. I found the batter somewhat runny so I poured it into a measuring cup with a spout and poured it into the cups which worked well. I rate all my recipes and gave this 10/10. My boyfriend and co-worker also both really liked them. I personally liked it better without the icing. They were nice and dense and moist. Most of all though I really loved the flavor. Once in awhile I treat myself to Coffee Culture's pistachio muffin which I love but is loaded with fat and calories. This muffin was just as good but included the benefits of low fat dairy, green tea and some whole wheat four. This recipe is a definite keeper for me! Hi Danae! Is it possible to replace whole wheat pastry flour with wholemeal flour because their nowhere to be found in my country:( Thanks! Hi there! If you can't find whole wheat pastry flour I would suggest using half whole wheat/wholemeal flour and half all purpose or regular flour. I use whole wheat pastry specifically when I bake because it yields a lighter and more tender baked good vs. when I use just regular whole wheat flour. Hope this helps and that it works out well for you! what is the use of the cornstarch on the recipe? and i dont have whole wheat pastry flour ,what can i substitute for it? Hi Melody! The cornstarch is used in step 2. You can substitute standard pastry flour for the whole wheat pastry flour. Fantastic recipe! Very nice touch with the matcha tea powder! Thank you thank you thank you for this amazingly delicious recipe! It is incredible! Mine turned out beautifully and I popped a white chocolate truffle in the centre! Wonderful texture and a gorgeous flavour, thank you again! You're welcome, Suzannah! I am so glad to hear that you loved them. The addition of the white chocolate truffle sounds divine! 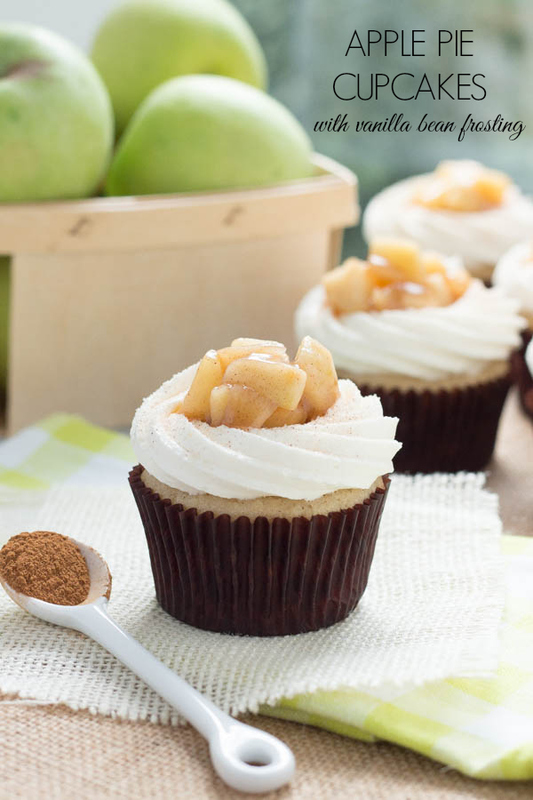 These are very pretty and it's so great that you used all natural ingredients.